Bring the kids along to Sea World Theme Park and Warner Bros. Movie World. 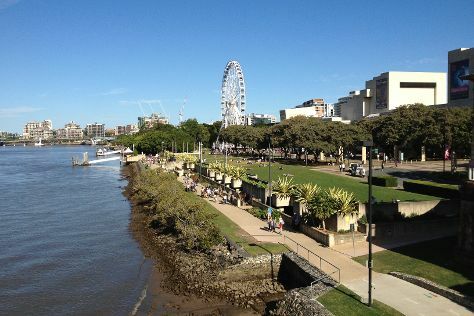 Explore the numerous day-trip ideas around Gold Coast: Brisbane (South Bank Parklands, City Botanic Gardens, & more). There's much more to do: find something for the whole family at Dreamworld, get outside with Pelican Feeding, and enjoy the sand and surf at Surfers Paradise Beach. For traveler tips, reviews, maps, and tourist information, refer to the Gold Coast trip planner . If you are flying in from Malaysia, the closest major airports are Brisbane International Airport and Gold Coast Airport. In May in Gold Coast, expect temperatures between 27°C during the day and 15°C at night. Wrap up your sightseeing on the 30th (Thu) early enough to travel back home.